Nuvoton Technology Corp., a leading microcontroller provider, announces the launch of its high performance, low power NuMicroM480 series – an ArmCortex-M4 based microcontroller, supporting DSP instruction and integrated floating-point unit. The M480 series provides rich features and consists of six sub-series targeting different applications. The M480 series supports up to 512 KB Flash and 160 KB SRAM. The operation frequency is up to 192 MHz with 175µA/MHz dynamic power consumption, and the standby current can be as low as 1µA. The secure boot functionality provides a constant digital signature of system software for identification during boot up to protect the integrity of Flash data from malicious attack. The embedded hardware cryptography engine provides fast and easy encryption, decryption, and authentication. Furthermore, the M480 series also supports 10/100 Mbps Ethernet RMII, high speed USB 2.0 OTG and rich peripherals, making it the ultimate solution for IoT, industrial automation, sensor network, automotive device, RC aircraft, smart home, network gateway and consumer electronics. The comprehensive hardware cryptography engines in the M480 series supports ECC (Eclipse Curve Cryptography), AES-256, DES, Triple DES, SHA-512 and HMAC. 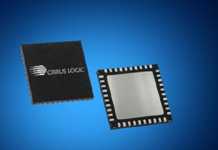 In comparison to software solutions, hardware cryptography engine can drastically reduce the orders of magnitude in calculation time. For extra security, the embedded random number generator can randomly fabricate the key for data encryption and decryption certification. 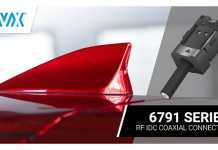 The hardware CRC unit can ensure the correctness of data transfer. The One-Time Programmable ROM can protect an encryption key from being alternated. The M480 series provides up to six tamper detection pins for system status detection to secure confidential data. To protect customer’s intellectual property, the M480 series also provides Flash lock, 4 KB SPROM (Secure Protection ROM), 96-bit UID (Unique Identification), 128-bit UCID (Unique Customer Identification) and secure boot function for content verification during system boot. The NuMicroM480 series supports 1.8V to 3.6V operating voltage, up to 5V-tolerant I/O pins and operating temperature from -40°C to 105°C. Its abundant high speed interfaces include 16 channels peripheral DMA, 2 sets of USB 2.0 OTG controllers with on-chip full speed and high speed PHY for device support, as well as host and OTG mode. The integrated 10/100 Mbps Ethernet MAC supports RMII, MDC and MDIO interfaces. Other communication interfaces include 1 set of SPI Flash running up to 96 Mbps with Quad mode, 6 sets of 17 Mbps low-power UART, 3 sets of 3.4 MHz Smart Cards, 3 sets of 3.4 Mbps I²C, 1 set of 48 MB/s Quad-SPI, 4 sets of composite SPI/I²S running up to 96 Mbps or 192 kHz/16-bit I²S, 1 set of 192 kHz/32-bit I²S, 2 sets of CAN 2.0B, 2 sets of SDIO, and 2 sets of USCI configurable to UART, SPI or I²C. Integrated analog circuits include one 16 channels 12-bit 5MSPS SAR ADC, two 12-bit 1 MSPS DAC, two comparators and three operational amplifiers. 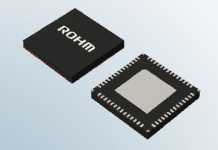 For chip control, the M480 series provides 2 sets of QEI (Quadrature Encoder Interface) and 24 channels 192 kHz/16-bit PWM. The NuMicroM480 series provides versatile high speed peripheral interfaces and high performance analog circuits. With powerful computing ability, it is able to achieve high performance under low power consumption, and is eligible for all kind of applications. NuMicroM481 base series: high performance, low power consumption, versatile high speed UART/ SPI/ I²C/ PWM peripherals, suitable for data collection. NuMicroM482 USB FS OTG series: integrated USB 2.0 full speed interface with on-chip OTG PHY, eligible for gaming and PC accessories. NuMicroM483 CAN series: integrated 2 sets of CAN 2.0B interfaces, 2 sets of USB 2.0 interfaces, up to 9 sets of UART interfaces, suitable for IoT and industrial control. NuMicroM484 USB HS OTG series: integrated 2 sets of USB 2.0 interfaces with on-chip full speed and high speed OTG PHY, eligible for USB sensor hub. NuMicroM485 Crypto series: integrated hardware cryptography engine and random number generator to randomly fabricate the key for data encryption, decryption and certification, applicable to fingerprint module, smart payment and secure USB device. NuMicroM487 Ethernet series: integrated 10/100Mbps Ethernet MAC with industrial standard RMII interface for quick implementation of network connection, especially suitable for industrial IoT gateway, UART-to-Ethernet converter, industrial automation, smart home, etc. 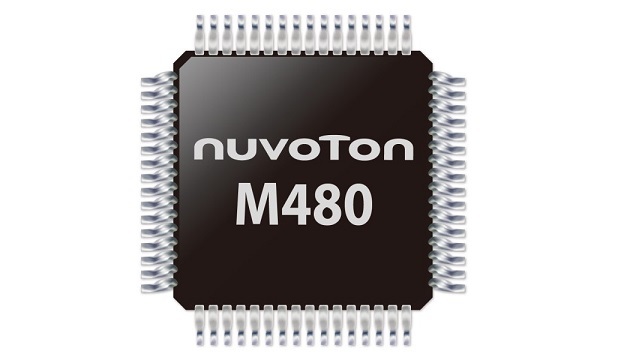 In the meanwhile, Nuvoton launches the full functional NuMaker PFM-M487 development board with the 10/100Mbps Ethernet interface, USB 2.0 full speed and high speed interfaces, SD card interface, 2 MB SPI Flash and 24-bit Audio CODEC. This board supports Arduino module connectivity and provides FreeRTOS and ArmMbed OS with reference program including interface drivers, libraries and samples. To simplify the user interface development, Nuvoton provides emWin – embedded graphics library for users to easily and quickly design fluent and high quality human machine interface. The high performance M487 with rich peripherals, IoT OS support and GUI makes the NuMaker PFM-M487 development board eligible for IoT device and for quick design verification.